Wade Mainer was born April 21, 1907 in Weaverville, NC. At 103 years old (2010) Wade was literally one of my oldest friends. He and his wife Julia have been performing old time music since the 1920s. Wade is credited with keeping the banjo before the public during the 1930s when it had fallen out of popularity. 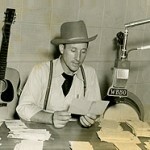 His music is seen as a bridge between old-time music and bluegrass. Some of America’s greatest folk musicians credit Wade Mainer as a primary influence. Bill Monroe, Doc Watson and Ralph Stanley have all told me that Wade was a musician that inspired them in their formative years. 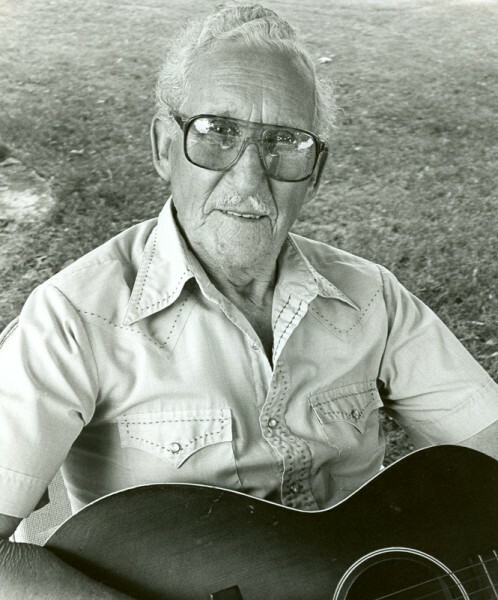 In addition, he innovated a two-finger banjo fingerpicking style, which was a precursor to modern three-finger bluegrass banjo. Mainer started as a member of his older brother’s band, J.E. Mainer’s Mountaineers and later formed his own group, the Sons of the Mountaineers. When times got tough making a living playing music Wade and Julia moved to Flint, Michigan to work for General Motors…where he lived until his death on September 12, 2011.